Hello new doulas, welcome to the best job in the world! 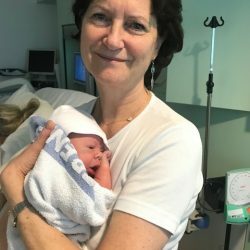 I’ve been in practice since 2010 and have just supported my 64th birth with the same fierce rush of joy and pride in the mum, who used all her self-belief, determination and power to push her baby boy into the world. I shared in his parents’ deep joy and amazement, accompanied by tears of relief, as I stood back to allow this precious moment to be theirs! Birth is not always this smooth; it often brings with it unexpected twists and turns that, as a doula, you will help the parents negotiate. Your role will begin well before the day of labour: to listen, inform, educate, signpost and instil confidence. You will help your clients write a personalised, strong but flexible birth plan and prepare them for everything to come. You will be available and reliable and, if you work postnatally as I do, you will be a great support when it is needed the most. The appreciation you will receive will make all the hard work and long hours hugely worthwhile. 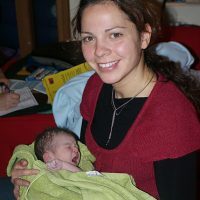 I have been recognised (by DUK) as a birth and postnatal doula since 2011 and was certified by NB at the same time. 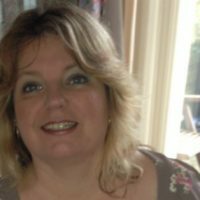 I regularly work postnatally and have recently done a year-long breastfeeding course which is the theory component of the IBCLC qualification. I am a peer breastfeeding volunteer (weekly) at the Royal Free Hospital. I am also a qualified counsellor for couples and those undergoing fertility treatment. Though I don’t practise these days, the experience gained over 20 years in these roles is always there for my doula clients, my colleagues and mentees. I love helping people fulfil their potential and feel capable. I am a newish mentor, so, like you, have much to learn as well as share! Those who know me well say I am a good listener, kind and respectful of others. I value everyone’s experiences and know how to give constructive guidance rather than careless criticism. I have been married for almost 42 years (to the same poor bloke), have four adult children and eight grandchildren from 8 yrs down. I was doula for my daughter when she gave birth in January (2018). Was it a different experience from doulaing for clients? You’ll have to ask me about that one.